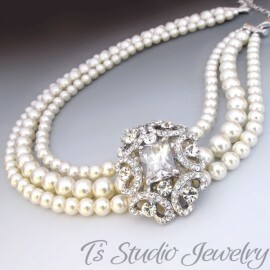 What a statement this necklace makes! 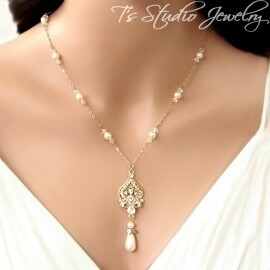 It is truly stunning! 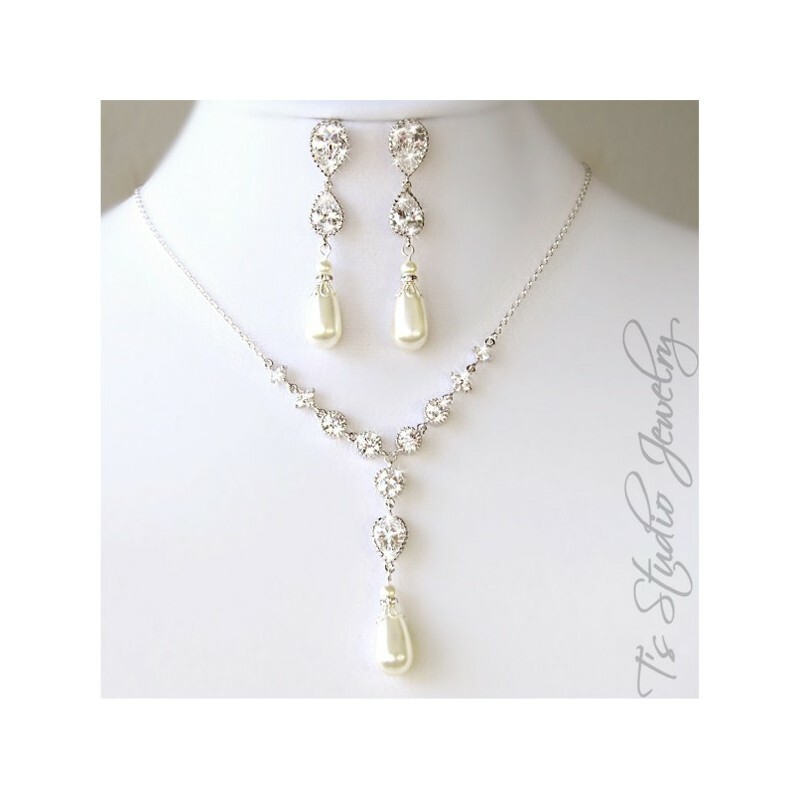 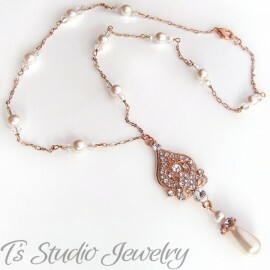 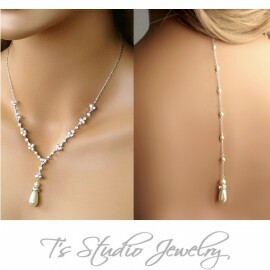 A back drop lariat design, with small pearls streaming down the back, with a pearl teardrop dangling at the bottom. 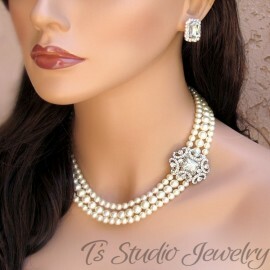 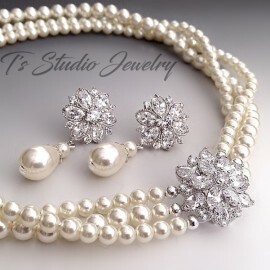 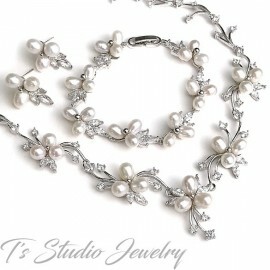 The front of the necklace has a combination of clear cubic zirconia stones with a single teardrop pearl drop. 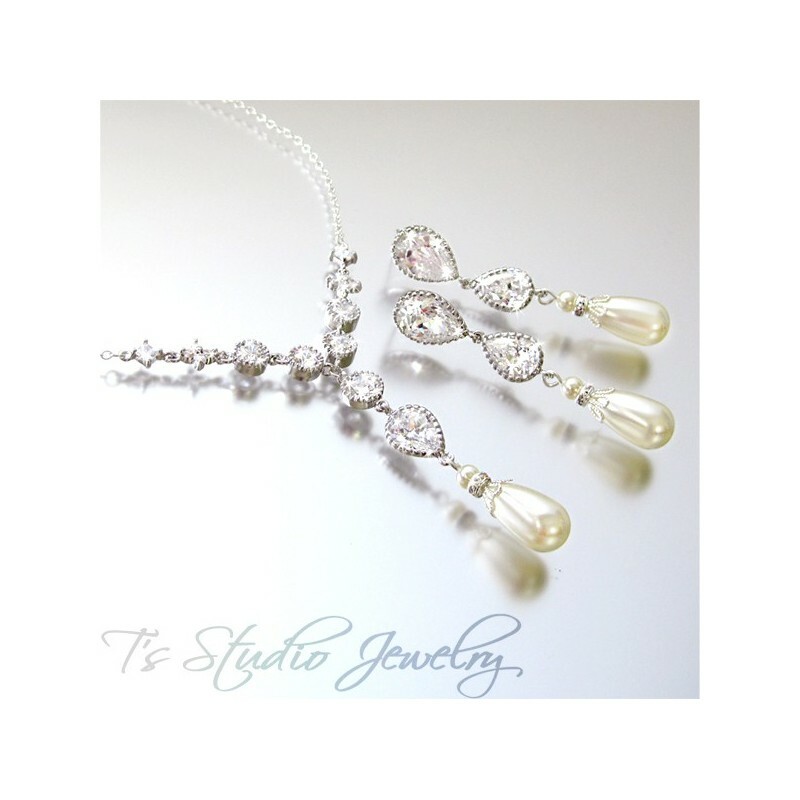 Earrings measure 2" long.